Hopefully everyone in the #NEMTB is enjoying their Winter and gearing up for an awesome year of racing in 2019. This past Sunday EFTA hosted our 2nd Annual Promoter’s Summit where we get interested parties together to talk all things grassroots MTB racing in New England. 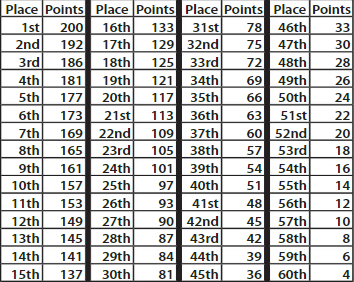 Historically EFTA has only issued Overall Points to the top 10 finishers in each category. Thanks to a suggestion from one of our members we have decided to expand the points schedule to issue points much deeper into the field. This model is something the folks in Wisconsin who run the WORS Series have used to great effect. Now most everyone will have the opportunity to compete with your peers for overall standing no matter where you are coming in on race day. Our current Promoters are already in the loop but for prospective promoters possibly looking to sanction with EFTA we are working hard to lower costs and add value in 2019. We have eliminated the $50 Club Membership fee for promoters of our events. We will be increasing our marketing efforts both at the series and event levels and working with promoters to assist with any marketing efforts they are interested in. We will also be piloting a program of extending affordable CX race insurance to our MTB promoters who also promote ‘cross events into the Fall. We have fat bike race offerings kicking off soon and before you know it Spring will be upon us and series racing will begin! We hope to see you all out there racing at EFTA events in 2019!